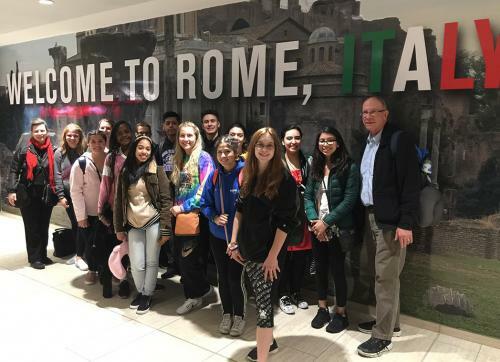 While teaching Church History to seniors at Aurora Central Catholic High School [in suburban Chicago], I made a passing remark, “I wish I could take you to Rome and show you….” After those words left my mouth about half of the class jumped out of their seats as they enthusiastically said, “We’ll go!! We’ll go! !” And with that desire and plea from my students, the Rome trip was born. Fourteen students, a deacon and his wife, a friend and I set out from Chicago on Tuesday of Easter week and began our long journey. The students’ eyes sparkled and their hearts were glad as they took in sights, sounds, and tastes they had never encountered. At first, some seemed to be slightly annoyed as they moved out of the familiar and into the discomforts of travel. Yet, with each new connection, bonds were formed with their companions. They relied on each other and looked to each other to watch their backs and share their experiences. Rome started to entice them as they moved about the Spanish Steps, Trevi Fountain and began to enjoy gelato! An important part of the trip was companionship for our students. 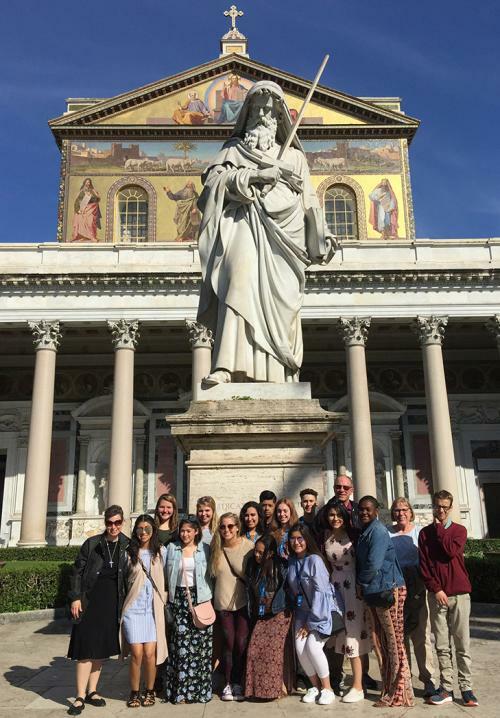 At the end of the trip, a student described the experience as being like Kairos, but more fun because of the quality time shared and the spiritual meaning found in the religious sites at St. Peter’s Basilica, the Vatican, St. Paul Outside-the-Walls, and the catacombs. They felt connected to the larger story of humanity as they walked through the Roman Forum, Palatine Palace and the Colosseum. The beauty and richness of Florence gave them a taste of the old world and was a favorite of the tour to Italy. Once we returned to the ordinariness of Aurora, IL, we all knew we were changed and our world view would never be the same. It seemed like we were going back in time to a very simple life after living through an extraordinary journey of different people, places and events forming bonds of friendship along the way. 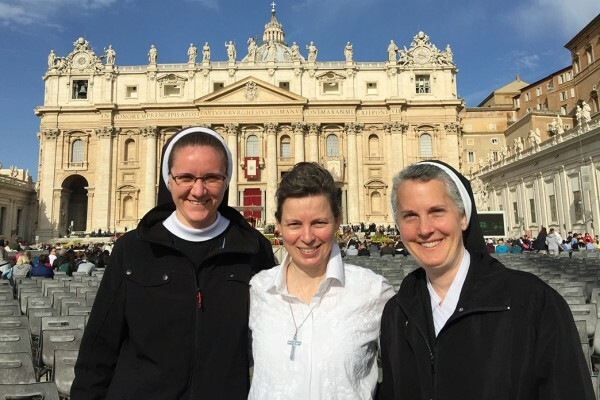 Sr. Trina Marie entered the Sisters of the Holy Family of Nazareth in 1995. She serves as a theology instructor at Aurora Central Catholic High School.